Vela Insurance Agency was founded in 1998 by Deborah Vela. Deborah has grown her business to a staff of eight of which six are bilingual. She has been recognized for her achievements in Independent Agent Magazine and Zenith Magazine and was also featured in Hispanic Executive Magazine in March 2012. Professionally, she currently sits on The Diversity Producer Council for Travelers Insurance and on the Multicultural Producer Council for Met Life Insurance. Her greatest honor as an independent agent was receiving the National Emerging Markets Agency Award in 2004. Throughout her 15 years as an insurance agent, she has received numerous awards. 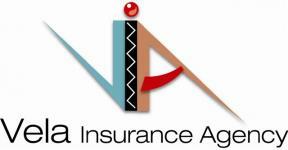 Vela Insurance Agency services all of Colorado including the Latino community with many Spanish speaking customers. The Agency’s focus is to educate customers regarding insurance and provide resources for their business and personal needs. As an Independent, Vela Insurance Agency represents many insurance companies and offers numerous personal insurance, auto insurance and business insurance options as an Agency Insurance Brokers. Deborah is very involved in the community. Over the years, she has served on numerous boards including LARASA, Hispanic Chamber of Commerce, LAEF, Centro San Juan Diego Advisory Council and Adelante Mujer. In 1998, Deborah co-chaired the annual state wide conference for Adelante Mujer and in 2009 was charged with the development of the LaTEENa Youth Alumni Council which is a segment of Adelante Mujer. In 2007 and 2008, Deborah chaired the Las Madrinas Luncheon which is the annual fundraiser for the Centro Bienestar Family Services. In 2010 Deborah was selected to participate in the Latino Council which was developed for Latino Entrepreneurs by the Hispanic Chamber of Commerce. In 2010, Deborah also received the prestigious Las Madrinas award from the Centro San Juan Diego for her support of that organization throughout the years. Most recently, Deborah served on the CAHREP Board (Colorado Association for Hispanic Realtors). In 2011 Deborah was named one of three finalists for Hispanic Business woman of the Year nominated by the Board of Directors of the Denver Hispanic Chamber.